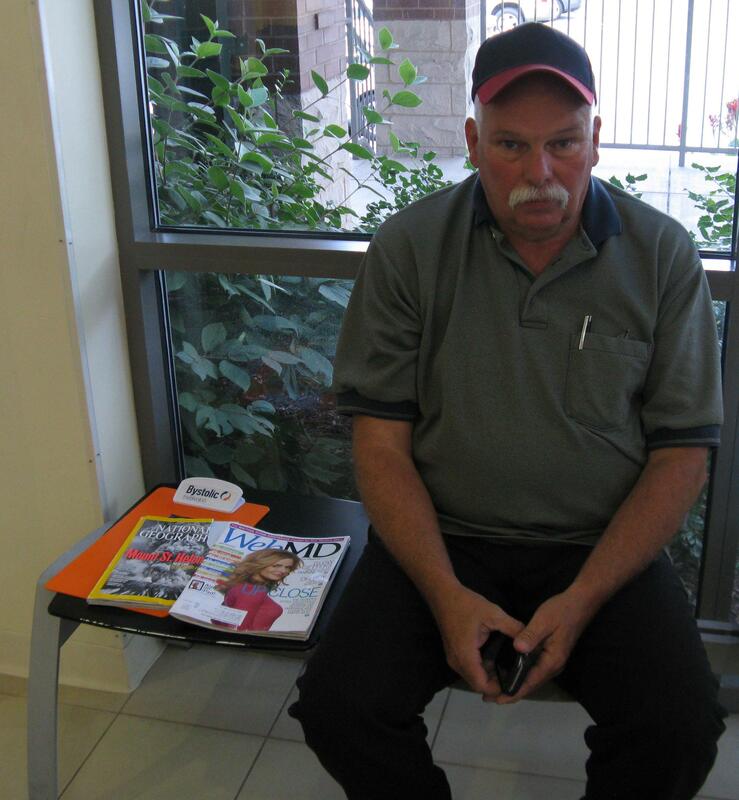 Richard Freese sits in the waiting room of Family Care Health Centers in St. Louis. Freese is self-employed, servicing and selling industrial machines. But he says if he wound up hospitalized, he’d have no income – and no way to pay his bills. St. Louis resident Sherri Coop thought she was having a heart attack, so she went to a hospital emergency room. But Coop didn’t have health insurance. The medical charges started racking up. “I went ahead and signed myself out of the hospital because I couldn’t afford to pay for the care,” Coop says. Something similar happened to Richard Freese. He has high blood pressure and a family history of heart problems. His doctor told him he needed more tests, but Freese didn’t have health insurance, either. “If I did go in, they may say, ‘hey, let's go into the hospital, let's go do a bypass surgery, stents, whatever,’” Freese says. Freese is self-employed, servicing and selling industrial machines. But he says if he wound up hospitalized, he’d have no income – and no way to pay his bills. But in a way, Coop and Freese are lucky. Here in St. Louis, they can go to one of a network of clinics that provide basic medical care to patients regardless of their ability to pay. 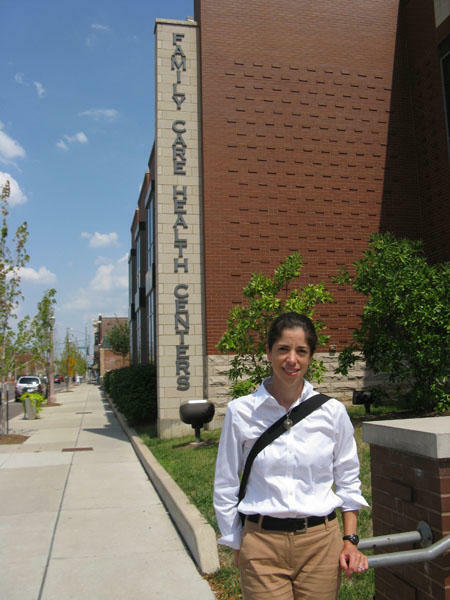 Family Care Health Centers doctor Heidi Miller says like Freese and Coop, most of her uninsured patients have jobs. And Miller says many of her patients need medical care to keep working. Take Sherri Coop. For her, staying healthy means taking lots of medications – 27 of them. Coop was physically abused. She suffers from PTSD, sciatica, and numerous other health problems – many of which cause chronic, debilitating pain. Without medication, she can’t work. Miller says she can help with prescriptions and basic check-ups, but she can’t do specialty tests or procedures – and many of her uninsured patients don’t have the money to pay for them elsewhere. “Sometimes I feel like I’m practicing Third World medicine when I don’t have the tools that are available via referral,” Miller says. Miller says given a choice of health insurance plans, no one would choose Medicaid. But, she says for the working poor who can’t afford private insurance, Medicaid can be life-saving. Sherri Coop used to have Medicaid. At the time, she was making about $400 to $500 a month, working as a server for a catering company. Then she got promoted. Coop was making too much to be eligible for Medicaid. Missouri’s Medicaid income limits are among the lowest in the nation: a family of three has to make less than $7,000 a year. And as in most states, unless they’re over 65 or disabled, adults with no children can’t get Medicaid at all, no matter how poor they are. In 2014, the federal health care act would expand Medicaid coverage to all adults making less than 133 percent of federal poverty limits. But some state government officials say that can’t happen here. Missouri Lieutenant Governor Peter Kinder is one of them. “There is absolutely no way that Missouri can afford the Medicaid expansion,” Kinder says. Kinder, a Republican, says the state is already spending billions of dollars on Medicaid at the expense of other state-funded programs. “It is crowding out funding for K-12 education, for universities, and community colleges across our state, and it is forcing higher tuitions in all institutions of higher ed,” Kinder says. Medicaid expansion would add about 300,000 people to Missouri’s Medicaid rolls. The federal government would cover the cost of expansion for the first three years, and about 90 percent of the costs after that. But even so, Republican Missouri state Representative Ryan Silvey says Missouri would still need to come up with hundreds of millions of dollars before the end of the decade. “The only way you can get the money would be to cut existing programs, or to raise taxes,” Silvey says. And that’s something Silvey, who chairs the state House budget committee, says state lawmakers aren’t willing to do. But he says he sympathizes with Missourians who can’t afford to get the health care they need. "Just hoping that nothing tragic happens." On July 1, St. Louis started its own version of Medicaid expansion. The Gateway to Better Health program is intended as stop-gap measure, to give uninsured patients coverage for at least some specialty care services until federal Medicaid expansion kicks in. But funding for the program will run out by 2014. Missouri will also lose almost $400 million a year in what are known as DSH (Disproportionate Share Hospital) payments - federal funds that help hospitals and clinics cover the costs of caring for the uninsured. “As of 2014, if there is no Medicaid expansion, we stand to lose all of that,” Miller says. But Miller says it’s her patients who stand to lose the most. One of them, Freese, says with no health insurance, he feels like every day is a gamble. Miller’s patient Coop is worried, too. “I mean, this is kind of crazy, that we don't cover our people for basic medical needs, that you have to check yourself out of a hospital because you're not going to be covered for that, and you're running up all these bills and you can't…you can’t pay them,” Coop says. Freese and Coop say for them, having access to Medicaid would make a big difference. “I could get better care, you know. You know that,” Freese says. 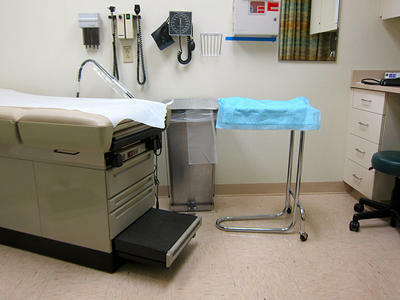 Freese and Coop will have to wait until next year to find out whether Missouri will expand its Medicaid program. That’s when the state legislature will make its final decision. A Missouri judge has scheduled two hearings this month on a challenge to the ballot language of a health care measure that goes before voters in November. The lawsuit by Republican Lt. Gov. Peter Kinder and several top GOP lawmakers contends the ballot summary is unfair and misleading. Secretary of State Robin Carnahan, a Democrat, wrote the summary. Online court records show Cole County Circuit Judge Dan Green will hear arguments Friday and again on Aug. 28. House Speaker Steven Tilley says there is no need for a special session to decide whether Missouri should opt out of a Medicaid expansion.